Brittany is home to hundreds of beaches, many of which are child friendly and arguably some of the most beautiful – and far-reaching - beaches in Europe, stretching across the 1700 miles of coastline. Glistening in the French sunshine are billions of sand grains, perfect for families looking for a holiday where their toddlers and children can splash in the sparkling sea and build sand castles while parents and babies just to relax and enjoy the views. Dinard is one of the most popular tourist destinations in Brittany for families with children and it is safe to assume that part of the allure of the commune is the miles and miles of golden ground. It was made popular in the 19th century and has had a regular gaggle of tourists since, losing some only to the French Riviera. All of Dinard’s beaches stretch into the distance, the most popular being the Place de l’Écluse, which is distinguishable by the rows of stripy tents that occupy it. 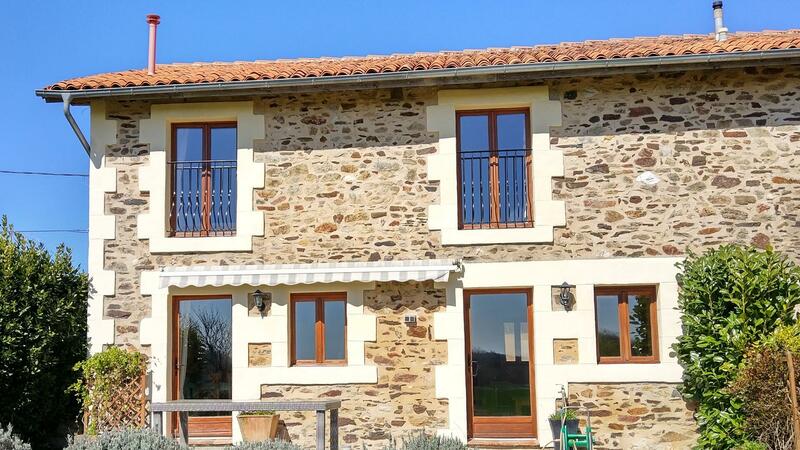 Apart from the classic bucket-and-spade activities that any child loves, the Place e l’Écluse offers childrens holiday clubs in high season as well as gym classes and other activities for holiday-goers to get involved in. Being right in the centre of Dinard town, you are never far from a bite to eat or a drink to cool down. Three miles north of Perros-Guirec lies Ploumanac’h. Part of the Pink Granite coast, it would be difficult to find a beach as picturesque as the plage de St-Guirec which is nestled here. Playing in the sand surrounded by glittering pink rocks may even seem like a surreal experience to begin with; but one that many have experienced, being another tourist bubble, largely for young families, but with a mix of hikers checking out the beautiful coastline chucked in. The beach is somewhat rocky early on, so this is less for the swimmers and more for the sun bathers, sandcastle makers and anyone who loves a stunning view. Ideal for crabbing with the children! 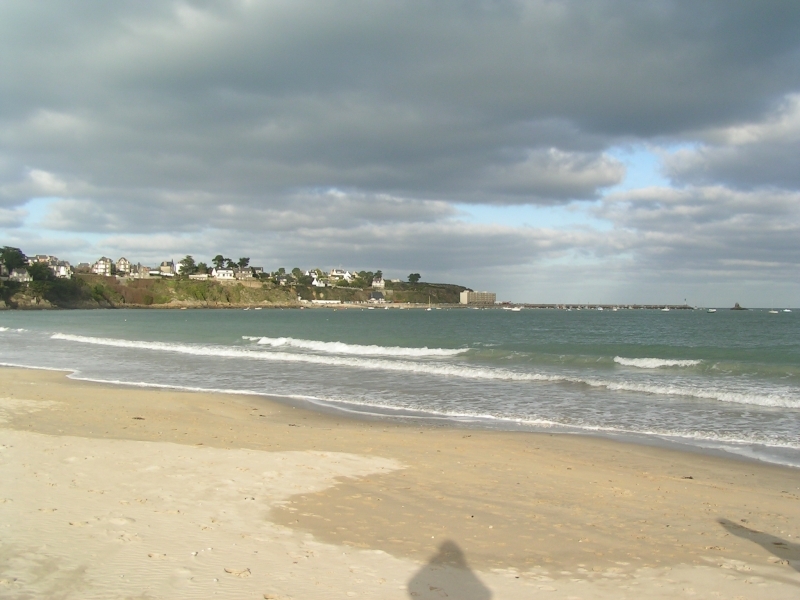 Saint-Cast-le-Guildo beach lies to the north east, close to Dinard and is the perfect beach for families; long and flat, so brilliant for tottering toddlers and protected by cliffs. Backing onto the town of St Cast, this beach has a range of activities to keep the older kids happy too. Whether it’s kite surfing for the slightly elder holiday maker, volleyball or simply sandcastle building, there is something for everyone in this picturesque resort and endless activities for children that give their parents some much needed relaxation time. The nearby harbour provides boat trips as well as sailing lessons and the beaches are surrounded by cafes, shops and bars with an abundance of seafood on offer. The beach is split into five, so there is a choice of spots to bathe in the sunshine; La Grande Plage, La Mare, La Pissotte, La Fresnaye and La Fosse all are beautifully clean and the perfect place to take your tots. Ile De Batz is a little island lying to the North of Roscoff, which is itself home to pretty beaches and from where regular ferries run to the off-shore miniature delight. With 600 residents, it is by no means deserted. The beautiful Greve Blanche beach lies to the north of the island. While it is extremely easy to get back to Roscoff, you may choose to camp on the beach and have a night on the sand. It’s the perfect place to take a picnic, as shops are not readily available and explore over a couple of days. The Jardin Exotique is a must, the garden has over 3000 species of exotic plants from all over the world which adds a burst of colour to this picturesque island.